One of the most coveted conferences, TEDx, will be held in Dharamshala in November. A conference that will bring together intellectuals and dignitaries from around Himachal and the rest of the nation will be a day-long event for all those who are interested in “ideas worth sharing”. We bring to the prudent and inquisitive people of Dharamshala, an opportunity to change the world, by looking at it through a new lens. 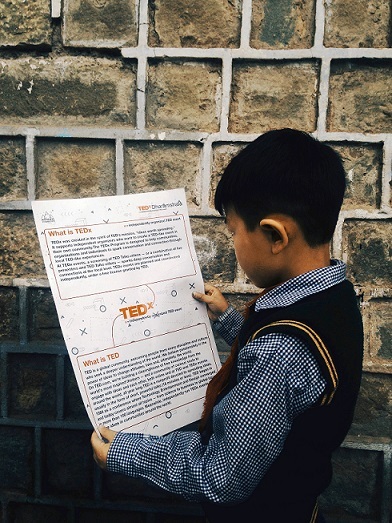 TED, which stands for Technology, Entertainment, Design, is an international organization, based in the United States, that hosts annual conferences where dignitaries from around the world are invited to give 20 minutes long speech on an idea that can help shape a better world. The underlying idea of these conferences, that started back in 1984, was to feed the curiosity of those who dream of a better future. By bringing an understanding of what’s happening around the globe, in terms of Technology, Entertainment and Design, TED has provided fodder for new thoughts and ideas. TED has since then grown beyond its limited spectra of T E D, and ventures into various disciplines like Sports, Music, Science, Philosophy, Business, etc. You name it and TED has it covered. The videos recorded at these events are posted online, on YouTube and TED.com, for those who can’t get a chance to attend a live session. The conference has now become a global phenomenon, with its speakers’ list boasting of some of the biggest names of our time from a diverse range of fields. People like, Richard Branson, Serena Williams, Elon Musk, Former Prime Minister of England, David Cameron, James Cameron, the 39th President of the United States, Jimmy Carter, Sheryl Sandberg, have graced the TED platform with their brilliant ideas. The list goes on and on. Most notable speakers from India have included Former Minister of State, Shashi Tharoor, Kiran Bedi and more recently, Shah Rukh Khan. TEDx is a program of the TED community, which allows independent organizations to host TED-like events in their own cities. TEDx has its own history of great contributions by inviting speakers from around the area where the conference was held. Influential speakers like His Holiness the Karmapa, Halla Tómasdóttir, Cameron Russell, Tom Thum, Maz Jobrani, have shaped the way the world thinks by spreading their ideas on this global platform. Thus, with TEDxDharamshala, we aim at bringing an experience of a lifetime to the people of this city, with this platform for exceptional ideas that are a catalyst for profound change. While watching a TED video online might just do the trick, attending the live conference is an experience of another level, that cannot be fulfilled by any computer screen. The opportunity to interact with these great minds and participate in other TEDx activities like Adventures, Salon events, Speaker Rehearsals, Experiential, etc., is something that comes only with attending a conference live. To explore this unique community and all that it has to offer, head to www.tedxdharamshala.com/attend for more information and booking of tickets. Early birds get special offers.